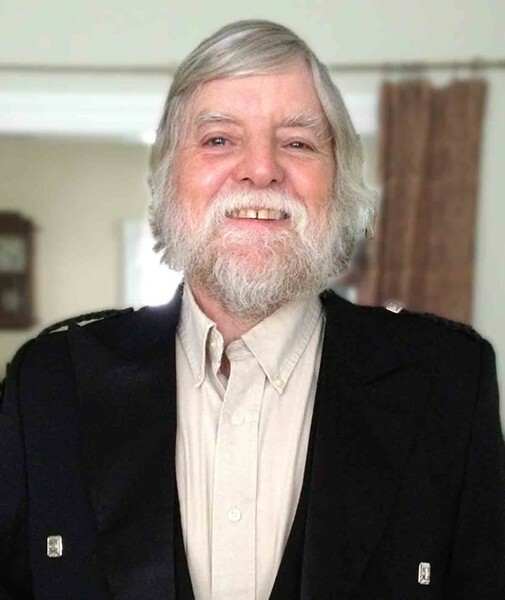 Timothy James Whiteford, PhD, of Richmond, Vt., passed away peacefully in the early morning of Monday, February 11, in his home, leaving his legacy of passion and kindness with all who knew and loved him. He was 72. Tim was born in London, England, on December 19, 1946, to Patricia Nardi and Frederick Montague Whiteford. In 1952, they moved to Bristol, England, where he spent his wonderful childhood roaming around the bucolic western district of Coombe Dingle. After meeting a group of teachers whilst working as a quantity surveyor in his early twenties, he discovered his true passion: education. He would go on to spend his life seeking to understand how children learn “maths,” which he called “The Science of Pattern and the Art of Making Sense.” He graduated from the College of St. Matthias in Bristol in 1972 with a bachelor of education degree conferred with honors and taught fourth grade for five years. In 1977, he came to America for a year to pursue his master’s degree at the University of Illinois in Champaign-Urbana, at the encouragement of their exchange program adviser Harold “Fuzzy” Lerch, whom he’d met after having returned to St. Matthias as a resident adviser, and who would become his doctoral adviser at U of I. There, he met his future wife, Lucie Jumonville, and after falling in love with both her and America, he decided to stay. He completed his PhD in May of 1980, and they married in July that same year. In 1982, he accepted a teaching position at Trinity College, and they moved to Vermont. After 17 years as an assistant, then associate professor of education, he spent several years in leadership positions at local school districts, developing math and science curricula and providing professional development for teachers. It was there his interest in how English Language Learners learn math grew. In 2005, he began teaching at Saint Michael’s College. His students described him as an inspiring and creative instructor who made math fun and accessible … not to mention noting his British humor and lovely accent! He developed a love of “penny maths” following a project of one of his students and his “penny arcade,” a fantastic display of fractals, patterns and mathematical concepts, all done with pennies, which still adorns the St. Mike’s ed department hallway walls. Tim became full professor in 2012 and was later tenured. In 2013, he was named to give the Richard H. Balomenos Memorial Award lecture, an honor given annually to a New England mathematics educator "who offers the type of strong and possibly controversial points of view that spark us to think carefully about the improvement of mathematics education." He retired in 2016, after 11 (or one “10” and one “1,” or one fewer than a dozen, or the fifth prime number, or the hour at which things become urgent, or the number of players on a soccer, football, cricket or field hockey team) years at St. Michael’s College and became professor emeritus of education, an honor he deeply valued. Tim had a passion for music, which began with piano and violin lessons as a child, then his first guitar at age 13, and continued through college where he ran weekly Folk Nights. Once in Vermont, he led his well-loved band the Highland Weavers for 30 years, often joined by his wife Lucie and, later, his daughter Marie, in whom he instilled his deep love of creating music and teaching. He also produced countless benefit concerts at St. Michael’s College and in his Richmond community, where he encouraged blossoming performers to “have a go” whilst raising funds for various nonprofit organizations dear to him. Tim was known by all for his infectious laugh and easy smile, his kind and gentle manner, and his wit and command of language and verse. He was a lover of motorbikes and cars, soccer, the sea and all things British, and he was an avid collector of model VW Beetles and buses. Maple creemees were his favourite, and in summertime he could often be found zipping about the state in his Mazda Miata with his son Andrew on a “creemee run” singing Celtic Thunder songs at the tops of their voices. His role as “Pop Pop,” to his grandsons, aged 4.5 and 2, came naturally to him, and he loved bringing them sweet treats, teaching them to draw Sierpinski triangles with magic markers and bouncing around with them in his beloved 1991 VW Vanagon. Tim will be deeply missed by those he leaves behind, including family, colleagues, friends and scores of students. His surviving family includes his wife, Lucie, and son Andrew, of Richmond, Vt.; daughter Marie and her husband, Erik Johnson, of Huntington, Vt.; his two grandchildren, Lachlan and Kassel Johnson, of Huntington, Vt.; his brother Ali and his wife, Aileen Whiteford, of Stornoway, Isle of Lewis, Scotland, UK; his niece Hazel and her husband, Duncan Macleay, and their children Shona, Ali and Angus of Stonehaven, Scotland; his niece Eilidh Whiteford of Stornoway, Scotland; and his niece Jill and her husband, Derek Morrison, and their daughter Lillian of Portlethen, Scotland. Tim was preceded in death by his parents. Tim’s family wishes to extend their heartfelt appreciation to his medical team: Dr. Daniel Goodyear, Dr. Philip Ades and Dr. Johannes Steiner, as well as the University of Vermont Home Health and Hospice Care. You are invited to a celebration of his life on Saturday, March 9, at 2 p.m. in the Dion Family Student Center, third floor, at St. Michael’s College in Colchester, Vt. Visit facebook.com/events/315896705728291 for further details. Memorials may be made to CHMS Music Program, 173 School St., Richmond, VT 05477, or to Richmond Rescue, 216 Railroad St., Richmond, VT 05477. Tim’s memorial bench will be installed at the Old Round Church this spring, and a celebration with live music and general merriment will follow this summer.